You never know when you may need to fix something when you're on the go. 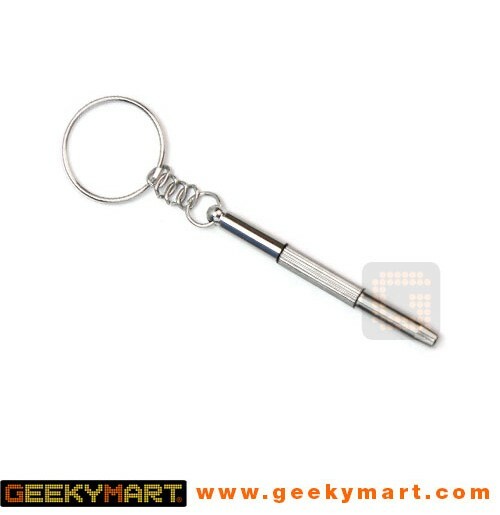 But when you have the 3 in 1 Portable Eyeglass Screwdriver Keychain, you can be sure that you're ready for the job! 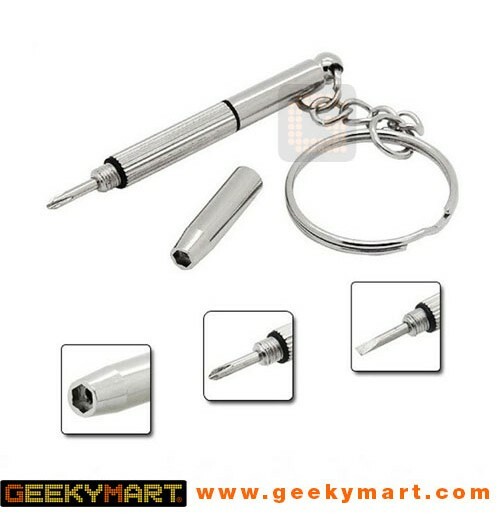 The 3 in 1 Portable Eyeglass Screwdriver Keychain is a revolutionary mini screwdriver tool with a 3-in-1 design. 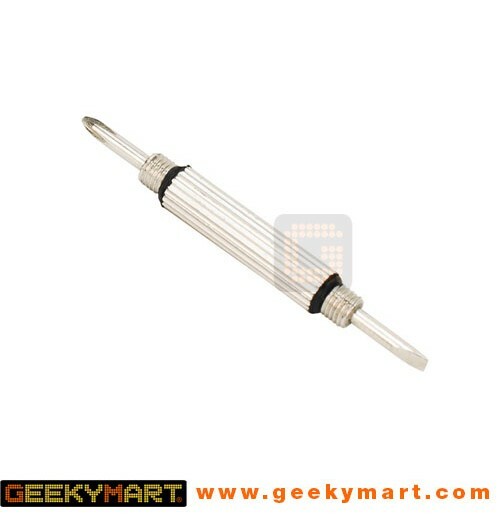 While the eyeglass screwdriver is very compact in size, it can quickly be disassembled to reveal three different tools. 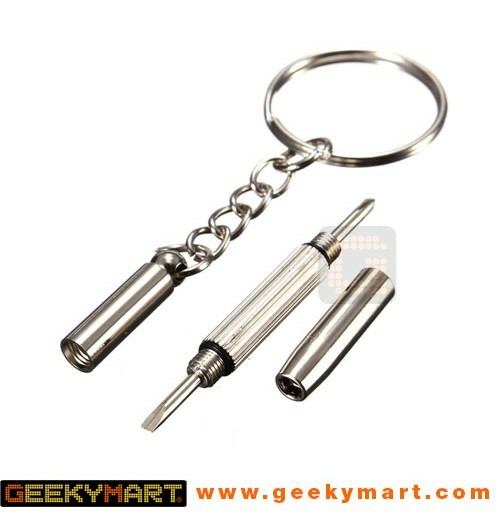 This 3 in 1 Portable Eyeglass Screwdriver Keychain, has a Flathead mini tip, Phillips mini tip and a Nut Remover tip. So if ever your frames screws ever get's loose you can fix it right then and there, and since its so small you can carry it everywhere.